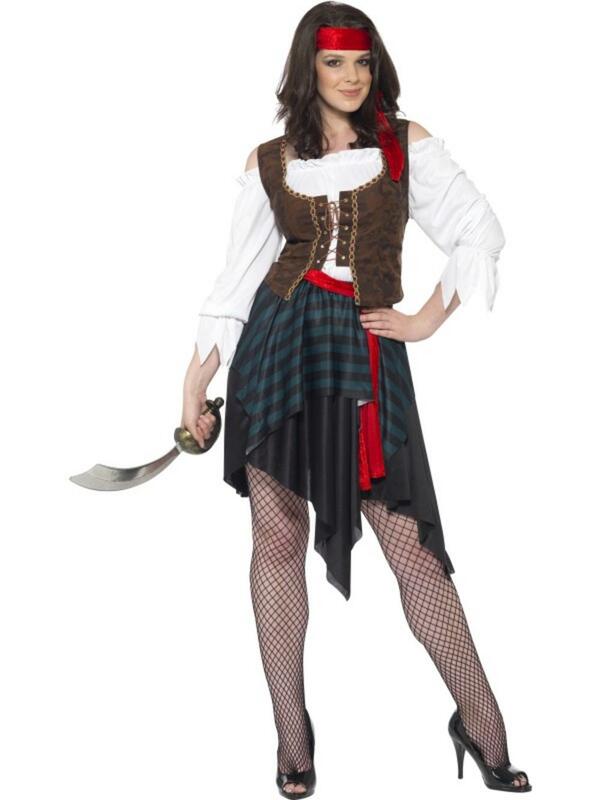 If you're looking to transform yourself into the most sultry and sassy pirate around then look no further than this fantastic fancy dress costume. Included is a beautiful white dress decorated with white lace detailing, an attached red velvet look jacket which is decorated with gold coloured stitch detailing and a gold ribbon for a lace up effect. Completing the costume is the all important pirates' hat which is made from red velvet look material which matches the jacket and decorated with white lace trim. You'll be sailing the seas in style when you wear this beautiful costume, perfect for any pirate themed fancy dress party. Red velvet look pirates' hat with white lace trim.